At the level of 1,200 meter above the sea level, abundant Ramkhamhaeng National Park offers not only the amazing waterfalls, varied plants and wild animals for the nature lovers, but it also hides the fascinating historical aspect of the discovery of the ancient tools and relics, which make the place quite popular for the historians and theologians. For accommodation, you can book the bungalows and tents at the National Park Section and the Royal Forest Department. Take note that all visitors must start their trek before 3:30am and are allowed to bring food and their personal belongings. Short Description: Ramkhamhaeng National Park lies in Ban Dan Lan Hoi, Khiri Mat and Mueang Sukhothai districts of Sukhothai Province, the north of Thailand. 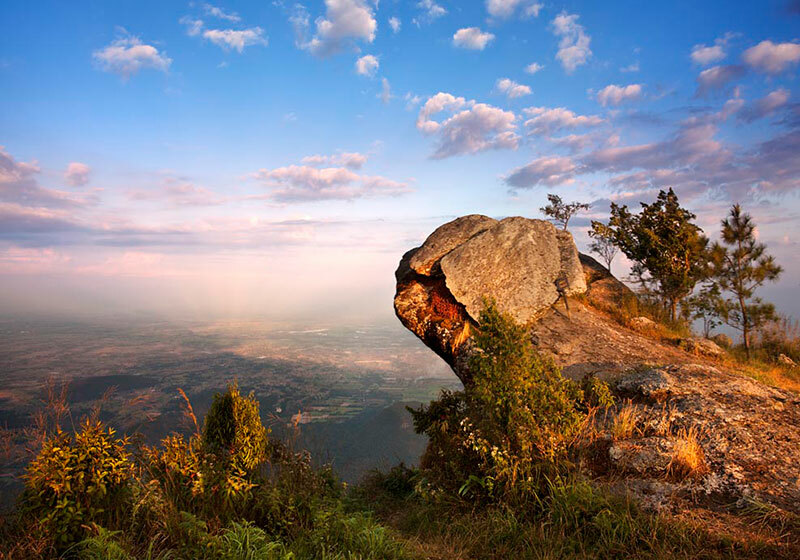 The majority of the park's land is within the contours of the Khao Luang Mountain Range.